What are full glass doors? 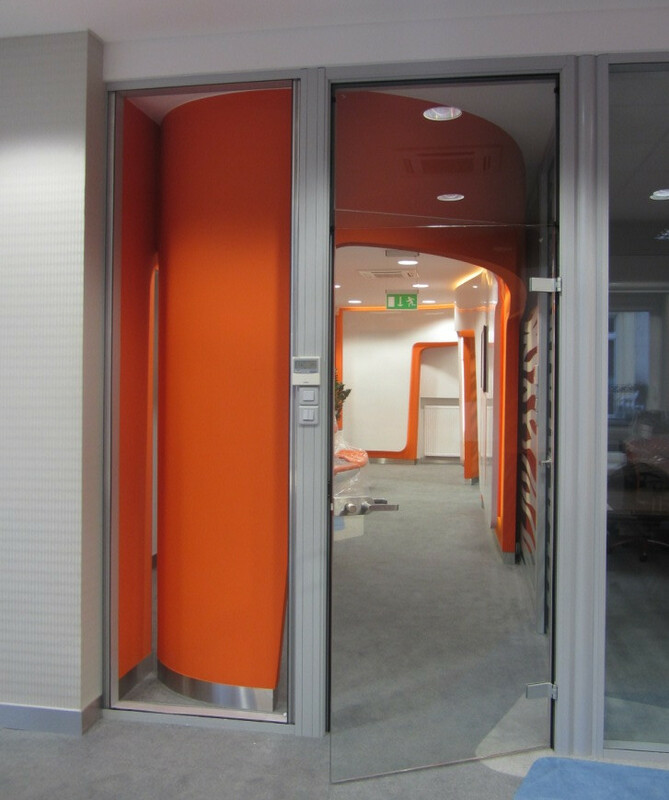 Doors made of toughened glass panes are a modern and aesthetic solution meant for houses, offices and shops. The diversity of available glass and fittings combined with an unlimited range of colours of aluminium door frames results in doors perfectly matching their surroundings. Toughened glass is eight times more resistant than ordinary glass and almost impossible to damage. Keeping to some basic rules, we can use such doors for many years without worrying they might change the way they look or generally wear out too quickly. Glass doors can be equipped in the same way as aluminium doors. Upon request, we apply door closers, access control systems, anti-panic locks, electric locks with readers, stainless handrails and several types of door handles. Doors can have ventilation holes and undercuttings or have a non-rectangular shape.